Ken Yasuda is mostly known as the Headcoach of Tokyo Sabres in the International Fight League (IFL). The IFL was the first MMA organization, which began a league system just like the NFL and the NBA. 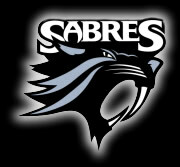 Among 12 MMA teams in the IFL, Ken was assigned to organize and lead The Sabres in the year 2007 season, the first official season for the IFL. Other teams were led by the MMA legends, Ken Shamrock, Frank Shamrock, Don Frye, Matt Lindland, Renzo Gracie, Marco Ruas, Maurice Smith and etc. It was a tremendous change of direction in the MMA world. The national TV station, Mynetwork TV (FOX), began its IFL show, The Battleground on the prime time, Monday nights at 8pm. The battles among the teams were incredibly tough. Each team had 5 starters, which represented 5 weight classes. Ken, with the tremendous background of strengthening and conditioning along with being a lifetime martial artist, led the team to be undefeated in the season. The team was known as the most conditioned and organized team. As Ken has always trained world top MMA fighters, it was not so hard to get fighters in shape, but the more challenging part was to organize the team with no problems. In other words, fighting is an individual sport, not a team sport like baseball or football, so that many fighters’ heads do not naturally function towards team work while many team athletes naturally sense this. As a former semi-pro & collegiate baseball star, his background of team sport helped many situations for him to take the team on their winning streak. As the IFL’s headcoach, Ken has appeared on numerous radio shows, TV news and events. Some include the NBC Morning News in PA, the Best Damn Sports Show with Bas Rutten, the NBC Sports News in WA, and Wizard Expo in LA and PA. Often times, he had to explain what mixed martial arts is about, and then, the IFL. MMA is not anything new, but the team concept was totally new in the MMA world. Just like any other pro sports, the strategy making each time was the key. Often times, many starters were injured, so that he had to bring in a new fighter who could get the job done, not for himself, but for the team. Pro-Wrestling Coaching was something that was a part of Ken Yasuda’s coaching career. Not only as a MMA coach, Ken has been coaching many pro-wrestlers. He was the headcoach of the New Japan Pro-Wrestling Federation, which is like the WWE in the US. He has trained all the top New Japan wrestlers such as Kazuyuki Fujita, Nakamura, Yano, Kendo-Kashin, Minoru Tanaka, in addition to Shinya Hashimoto of Zero One and Keiji Muto(Great Muta) of All Japan Federation. Among the wrestlers, some of them went on to wrestle in the WWE, where he met some of them when he joined as a wrestler several years ago. His coaching on strengthening, conditioning, and body building has been so effective that many of the wrestlers are motivated to be trained by him on a one on one basis in addition to the federation training he ran. Many of the young stars, especially in Japan, are big fans of Ken, and they flew to the US just to be trained by him. In addition, Ken has trained many of Antonio Inoki’s pro-wrestlers in Los Angeles. Although many of them need to learn much more, they are bigger and stronger after the training.